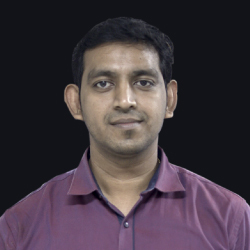 Bright has completed his MPT in Neurology from SRM College of Physiotherapy in 2012. He has a PG Diploma in Clinical Research from ICRI Bangalore. He is a member of the Dry Needling Association (Nova Academy , Bangalore) and also a Member of the Indian Association of Physiotherapy. He has started his practice as a physiotherapist at St. Thomas Multispecialty Hospital and has provided Rehabilitation protocol for Neurological, orthopedic, traumatic, paralytic and stroke patients . He has worked with Koncept Hospital as a Chief Physiotherapist where he was able to use his expertise to treat several conditions related to musculo skeletal ailments. He has also fulfilled his passion towards coaching and upskilling the next generation by rendering his service in the Madha College of Physiotherapy as Asst. Professor. He has published 4 papers in International Journal current advanced research. He has also facilitated workshops in Kinesiology Taping. As physical therapy is not only about the physical process of training muscles, at JH Rehabilitation Bright will work towards combining his experience and knowledge to encourage physical and mental growth 1n his patients. Interacting with the patients and watching them gain confidence towards getting back to normal life is what motivates him!